The old SEO is dead. Long live the new SEO. What exactly is the new SEO? You’ve probably read or heard in a movie the old chant of the masses when a monarch dies: “The king is dead. Long live the king!” It seems a contradiction, but in fact that phrase acknowledged a prime reality of life at the time — the continuity of kingship in the midst of change. The same is true of search engine optimization (SEO). What Part of SEO Changed? 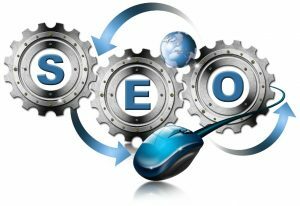 The old SEO was entirely focused on optimizing a website for the purpose of scoring high in the search engine results pages (SERPs). This led to all kinds of tricks to manipulate the search engines, including some that were a bit less than ethical. That was called “black hat” SEO and Google has now changed its algorithm to penalize those tactics. When Google changed its algorithm, it did a favor for those of us who legitimately want to help users find good sites with useful content. Now the SERPs are of higher quality, with far fewer sites that offer no real value. Back in 1991, Internet pioneer Mitch Kapor said something that became famous among tech people: “Getting information off the internet is like taking a drink from a firehose.” That was never more true than today. SEO helps people find what they’re looking for, as well as discover sites that offer valuable information relevant to the words they type into the search box. SEO has become a tool for content marketing, and it’s still important to understand how it works and how it can help your customers and prospects discover your business online. Think of the new SEO as enhancing the ability of your website to be discovered by people who need and want your company’s products and services. It does this by highlighting your site’s content for Google, Yahoo, Bing and other traditional search engines. But that’s not all it does. It also makes your site more visible to searches conducted from social media platforms, content curation sites and search functions that are embedded in sundry apps and mobile devices. There are many ways that SEO experts accomplish this. Some, such as link building, are extremely important and common to just about every SEO strategy. Others might be small adjustments to a site that an individual SEO guru knows can add value, and visitors, to a site or a special landing page. Some are relatively simple for an amateur to do and others are best left to people who understand code. All take time and forethought, but analysis is one of the prerequisites for great SEO. Some business people prefer to retain outside experts to assess their site, develop and execute a modern SEO strategy. Others invest the time and money into learning SEO themselves. Whatever the option for implementation, SEO is a crucial part of your marketing in order to reach today’s audience. Do you still think SEO is dead? Comment below.